In study, the other night, I was reading Luke’s Gospel and remembered a certain verse that was quickened (saw clearly the meaning of) to me some years ago. It dealt with the story of the Man who fell among thieves. Jesus used this story to picture who “our Neighbor” was. Now, Jesus could have said, “Are you kidding me lawyer Man? Look around you, everyone you see is your neighbor.” However, he didn’t. In typical Jesus form, he started in with his parables… I always thought Jesus would have made an excellent elementary school teacher, as he taught things so simply using these wonderful word pictures, and stories, to make his point. A child could understand, but not us smarty pants religious adults. I, too, find myself saying, after looking at a particular verse… “Master, what dost thou meanest?” Believe it or not, that is EXACTLY how I ask… Because I like to get my old English freak on when dealing the things of the God. You can thank Mr. King James for that. Okay, enough of the silly talk… back to the point of this essay/parable. Which is easy to understand, if you understand that it’s a parable, not so simple, if you think it be literal. In many cases, the problem is, over the years, mankind has begun to think these stories to be literally true. In fact, a majority of scripture is looked at this way, even though Jesus taught the kingdom if a mystery, and mysteries need to be uncovered. Come on Nancy Drew Keep up! What I am getting at here is not everything is so cut and dry. Not everything is understood by a literal reading of it. I often use the story of the boy who cried wolf as an example of what these parables are like. If the story is taken literally then the meaning and message is lost. It become a tragic tale of some kid eaten by a wolf… But when it is understood allegorically, the reader knows that exaggerating and lying can get you in BIG trouble… The same is true for every parable Jesus spoke. Mind you scripture does not say, Jesus spoke SOME THINGS in parable … Scripture states to the masses Jesus ONLY spoke in parable. (NOT LITERALLY, a story that must be spiritually discerned, a story that uses symbols to get across a point, a story that can only be understood by revelation. Which is the revealed meaning of the hidden truth inside the parable.) And Jesus ONLY spoke to the masses in parable. He spoke in Parable – WHICH IS WHY WE CANNOT TAKE EVERYTHING LITERALLY PEOPLE! The Letter (which means literal understanding) KILLS (makes you ignorant). You see Jesus spoke in Parable so that people would not rely on their understanding, the meaning would have to come like lightning from heaven (insight/revelation within). For years you may not understand something, and then in an instant the truth and meaning floods your thoughts. This is expressed perfectly in the nest passage where we see, Jesus having to expound these things he spoke (parables) to his disciples. Notice the words, when they were ALONE. Now follow me, if Christ is IN you, this is the hope of Glory. That means that WITHIN YOU the spirit of Wisdom and Power (which is Christ) will expound the meaning of these things to you. And then after going up that ladder to heaven, you can then come down again and express what you have learned to those around you, and those with ears to hear will hear. And usually those that hear (understand) are those that are in his BOSOM (AN ALLEGORY for instruction/nursing/teaching). Basically, Jesus is saying, those that know the Truth will see (understand the HEART of these allegorical tales and be set free. But those who do not know the TRUTH (Christ REVEALS) will see only the literal story. And in HEARING they will not hear, and in SEEING they will not see. The problem arises when the story becomes the important part, as opposed to the heart of the story which is WHAT THE PARABLE IS ABOUT. We need to LOOK TO THE HEART of things as God looks to the HEART of us all. If looked to the outward man (how we act, what we do) and not to the inward man (who we truly are) God would see a hot mess in his creation, but God looks to the heart, he looks to the TRUTH within the PARABLE that is US. Okay, that being said and done… Let’s dig into this parable of the good Samaritan. Because there is something more for us to learn from it, when the eyes of our understanding can SEE IT. Luke 10:25 And, behold, a certain lawyer stood up, and tempted him, saying, Master, what shall I do to inherit eternal life? He said unto him, What is written in the law? how readest thou? And he answering said, Thou shalt love the Lord thy God with all thy heart, and with all thy soul, and with all thy strength, and with all thy mind; and thy neighbor as thyself. And he said unto him, Thou hast answered right: this do, and thou shalt live. But he, willing to justify himself, said unto Jesus, And who is my neighbor? What a weird question, don’t you think? Shouldn’t it be obvious? Well, no! First, consider who is asking the question. This was NOT a sincere question from a sincere man. He was TEMPTING HIM. Which means, he was trying to discredit and open the door for Jesus to sin (THINK AND ACT FOOLISHLY). As we know, “when we are tempted we are drawn away by our own lusts.” This insincere man was also trying to justify himself, which simply means, he wanted to prove he was right and Jesus was wrong. The LAWYERS of the day, weren’t known for their sincerity in the faith. In fact quite the opposite. They were known as people who used the scriptures as a bat and not a shepherd’s staff. Know some people like that? People who always have to be right and will throw one scripture out after another to prove that our God is not a God of Love. Luke 7:30 But the Pharisees and lawyers REJECTED the counsel of God. You see the Lawyers of that day, and the people who use the scriptures as a way to justify themselves and beat down everyone else, especially those that are unique and different, REJECT THE COUNSEL OF GOD. Which is to LOVE OTHERS AS YOURSELF, DO GOOD UNTO OTHERS, DO TO OTHERS AS YOU WANT DONE TO YOURSELF. The Lawyers are a parabolic picture of those, who study the LETTER of the LAW and condemn those on every single point yet they themselves refuse the TRUTH OF GOD. Could the same be said for many calling themselves men and women of God today? I sadly would have to say yes. The Lawyers are a picture of the Religious Elite who consider themselves beyond reproach because of their scrutinizing study of the mosaic Law. We have lots of them today, with their “the bible says this”, and “the bible LITERALLY says that”, and yet they don’t have the first inkling of what God is speaking through these scriptures. Many today don’t understand the Spirit of the scriptures which should come alive with revelation when read. Instead, they rely on the dead letter (literal) of the scriptures, which they use to condemn and justify themselves as authorities on the things of God. Much like our lawyer in the Samaritan story. As an author, I am sad when I see this. Let’s put aside the majority of evidence in scripture that gives each of us the keys to understanding the scriptures. Let’s put aside the fact that the scriptures states clearly “God opens his mouth in parable, in dark sayings” “That it is the glory of God to CONCEAL a thing”, And Christ (The power and wisdom of God) COMES (is revealed) in the Glory of God (The hidden parable of scripture and our waking life). 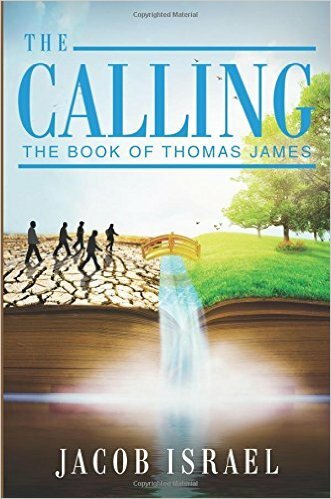 In my novel, “The Calling”, I tell a thrilling story about a boy who was purposed to change the world from birth, as we are all purposed from birth. His life becomes incredibly difficult. Now, THE CALLING is a great book, but this FICTION is not meant to be taken LITERALLY… IT IS AN ALLEGORY! On one level we see a Child who suffers abuse and hardship and we follow him on a fantastic journey that brings the world hope. But on another level, a deeper level, everything is speaking of something spiritual. And only a few will see the deeper meaning of what is written, because like the scriptures I prayed to write a novel that would also need to be spiritually discerned. Hey that is what book clubs are all about, finding out what the author is REALLY TRYING TO SAY! And the scriptures are no different. However, regardless of how clever the story telling in the The Calling is, regardless of how believable it seems to be, it is simply an allegory that I hope further a persons spiritual journey. The Calling is not a true story, sure most of it is based on aspects of my life but it is NOT A TRUE STORY that is meant to be taken literally. It is an ALLEGORY. But consider this, what if thousands of years go by, and someone finds this book and starts teaching that all of it literally happened (which it didn’t). Then everyone will focus on the fantastic elements of the books as literal and miss the fantastic TRUTH that is ONLY UNDERSTOOD by moving past what seemed to literally happen to what REALLY MATTERS! I don’t know about you but I want LIFE not DEATH. I want REVELATION not Regurgitation. Back to the LAWYER… I want to point out that studying the scriptures as well as other holy books is great, but no amount of study MAKES YOU GOD’S CHILD. 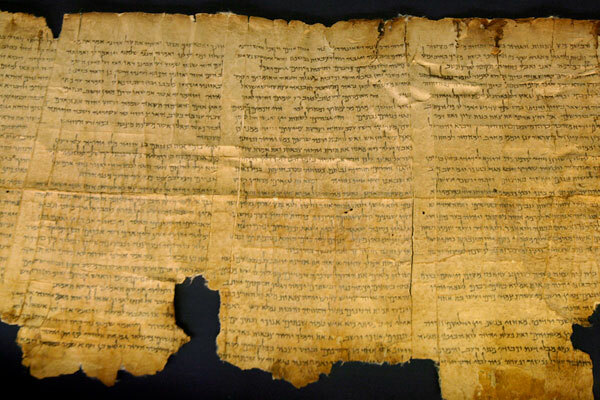 We are justified by our Faith, like Abraham was, not by how many scriptures we can quote. The Lawyers of Jesus day were known for being cruel and judgmental, so Jesus knew the intent of this Lawyers heart. The man asking Jesus, “what shall I do to inherit eternal life” … was TEMPTING HIM. He didn’t want to know the truth. He simply was testing Christ’s knowledge… He was putting Jesus on the spot. How many put us on the spot for our beliefs? They don’t really want to know what we believe to be true they want to find a crack in our beliefs to wiggle in and exploit. They want to prove us wrong, so they can prove to themselves and others they are right. And yes, this is what has become of religion today, a bunch of people running around looking for who is with them, and condemning anyone who sees things differently. Well, I for one don’t mind being condemned if what God is revealing to me is foreign to what the local church, mosque, or kingdom hall is teaching. What about you? Do you want more than Religion? Do you want the know the Truth of God no matter what the cost? Then to do this, you need to SEEK AND FIND, and when you SEEK AND FIND as the Gospel of Thomas states, you will be disturbed. Because everything you thought you knew was never true. And like Paul, when the revelation of Christ came you too, will become BLIND (meaning you will realize you know nothing about God) and you will need to be led by a child and restored by those who God sends your way, or restored by allowing what God is revealing to you to reside in your thoughts. And when that happens you will get rid of everything that you once held dear, you will empty that ship because you know you only need Christ. So when the lawyer tempted Jesus, in typical Messiah fashion, Jesus flipped the switch quick on him. Christ was appealing to the man’s vanity. He knew the Lawyer believed he had the answers, he knew the Lawyer couldn’t WAIT to tell Jesus how everyone needs to WORK THEIR WAY TO ETERNAL LIFE…. WORKS, phewy! Jesus said, “You answered right. Do this and LIVE”. Notice Jesus didn’t say, “do this and have eternal life” – There is a good reason. Because ETERNAL LIFE is NOT what most think it to be. Many believe Eternal Life is playing shuffle board in Heaven with the saints and Patriarchs and eating all the ice cream and fried oreo cookies they want without ever putting on a pound. (That does sound good, I have to admit) However, THAT IS NOT ETERNAL LIFE! The Lawyer wanted to know what to do, TO HAVE ETERNAL LIFE. Jesus said, you answered right DO THAT AND LIVE. And the ONLY WAY to truly LIVE is to know God and the TRUTH! We are LITERALLY told what Eternal life is, in John. And if I have said it once, it isn’t enough. It isn’t about believing in a literal man from thousands of years ago, it is believing as HE believes. It is believing IN (which means literally UNTO or FOR) him. You need to come to stature of the perfect man, and full understanding as Jesus had. You need to come to the unity of the faith. But listening to the LAWYERS of Jesus’ day or today, won’t bring you there. Religious pride and arrogance and bias won’t help you LIVE. In fact, quite the opposite. If someone has the “it’s my way or the highway” mentality, you will never be free. You will be BOUND BY THEIR CHAINS. You will be YOLKED by their ignorance and abuse. You know very well that if your beliefs don’t line up with an “unbelievers” particular beliefs they will condemn you for it. Not exactly what everyone should get when looking for peace in their life, huh? You see, this LAWYER didn’t really want to know Eternal Life (God and Christ) he wanted to discredit Jesus. That was his motive. Jesus then goes on to tell a story, about who is your NEIGHBOR. This ain’t no Mr. Rogers were talking about… this is JESUS people, so Listen up! 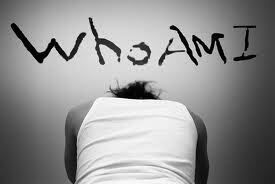 The reason, is that CERTAIN MAN is EVERY MAN/WOMAN – it is no one in particular and everyone in particular. Now, upon a simple reading of this you would think this story is about some poor guy who got robbed and only one person helped him. But like I stated earlier, not everything is as it literally seems. This parable has more to do with FAITH and BELIEF than it has to do with literally being robbed. So, let’s tear these scriptures apart and SEE (understand) what is REALLY going on. Luke 10:30 And Jesus answering said, A certain man went down from Jerusalem to Jericho, and fell among thieves. This is interesting to note because this CERTAIN MAN left JERUSALEM to go to JERICHO… This certain man LEFT THE TEACHING OF PEACE for the FALSE LIGHT. And this is what so many people are ignorantly doing. God wakes them up inside, they want to know God, and unfortunately they leave what is being taught within and go to “religion”. AND THEY GET ROBBED AND BEATEN AND ABUSED FOR IT! This is allegorical of MANKIND leaving the TRUTH of God for the IMITATION/Religion – BADDDDD RELIGION…. And yes, most of us do this very same thing. I did it, you probably did it, or you are doing it now. Oh, I know what you’re saying, “That’s a stretch, Jacob.. Jerusalem and Jericho are literal places, the meaning of their names isn’t significant at all… YOUR CRAZZZZZZY!… CRAZY LIKE CHRIST I SAY! I would have used Fox, but you know, them foxes (religious/political leaders-look it up) always spoiling the vine and such… Anyway, regardless of what your thinking about the names of those places and their meanings follow this paper and see if the meanings of these names be what they be. Our literal possessions don’t matter to God or Christ. Jesus is TEACHING about how to inherit ETERNAL LIFE not about how to avoid getting robbed or some self-defense technique… I think Peter had some kind of Karate class going on with Paul for a while, but they never agreed on whether the pork dumplings and stir fry was acceptable for end of the year Karate Mixer… <-insert laugh here for bad apostolic joke. Now we know, there is only ONE WAY to find the FATHER and that is THROUGH THE SON. This is what Jesus is telling the lawyer. He is actually showing the lawyer that the LAWYER was a THIEF to begin with. So, let’s say I’m right… That this story is about Mankind leaving the TRUTH for MAN’S TEACHINGS and getting robbed spiritually… If this be so, who then are the THIEVES? Look at that, Jesus says THOSE THAT TRY and ENTER THE KINGDOM ANY OTHER WAY than HIM… Is a THIEF AND A ROBBER. Now, let me just point out. Just because you “Literally” say “Jesus is your Lord and Savior” and go to church every Sunday and read your bible and pray… that DOES NOT MEAN you worship GOD. Don’t get angry, these aren’t my words… Take it up with the Lord! That means a literal belief in a literal Man is not having the TRUTH. The hope of Glory if CHRIST IN YOU. Salvation is believing on his name (nature) … Salvation is UNDERSTANDING THE TRUTH about God. There are hundreds of denominations in Christianity that claim Jesus as their Lord and Savior, who are as lost as those who worship the bark off a tree. This is why we MUST ask God, “Teach me the Truth, no matter what the cost” and daily seek His Face (NOT LITERALLY HIS FACE… COME ON PEOPLE :). To seek God’s face, is to RECOGNIZE the TRUTH. And when we SEEK GOD, we MUST get rid of EVERY THING else we have held unto and believed to be true, that was not TRUE. We must let go of everything man has taught us, for what the Holy Spirit WITHIN US teaches us. Time to lets those Idols go; but not American Idol’s come on, it’s the only show the whole family agrees on. And now that Paula and Simon are gone, perhaps it’s time for us to move on. RAIMENT is a key word here people… Once again, we are not talking about some real life thugs robbing a guy and stealing his clothes. No, we are talking about a covering, “spiritual Raiment” – and all we need to do is go to scripture to find out what it really is. We, are to be like the SAMARITAN which comes from the Hebrew ROOT word “GUARDIANSHIP” – We appear to the Lawyers and Pharisees of the world as “Heretics” who don’t know the God of the Hebrews, but a TREE IF KNOWN BY ITS FRUIT… And this SAMARITAN fruit was SWEET. This is what it means, to LOVE YOUR NEIGHBOR AS YOURSELF. Now go and do likewise, as the J-man says!